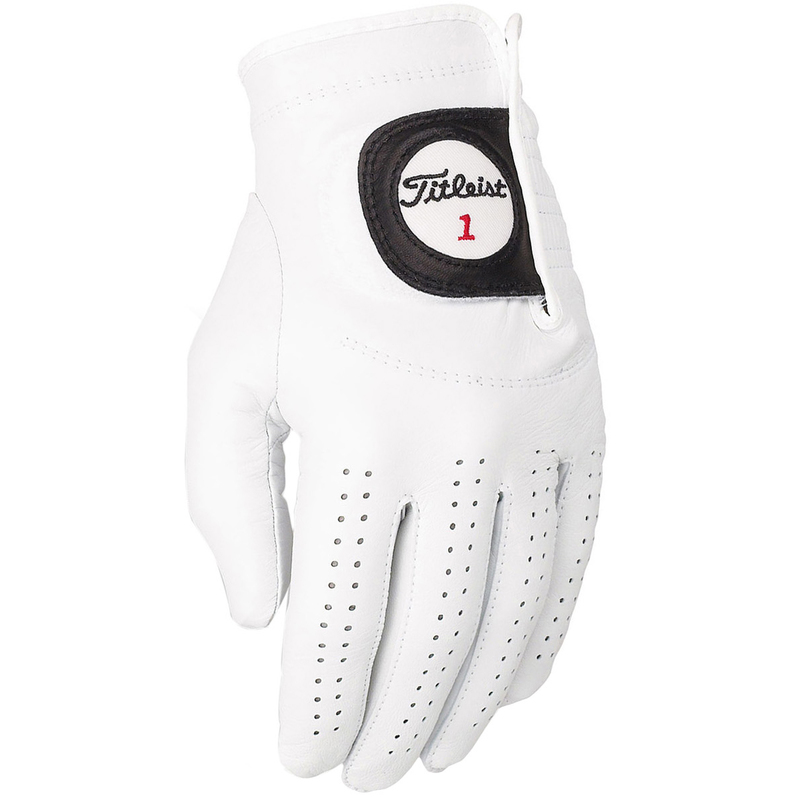 In the impeccable tradition of quality Titleist products, the Titleist Players golf glove is a high performance piece of golf equipment designed to meet weather challenges faced by golfers. The golf glove’s thin, fine cabretta leather feels superbly soft and is both water and perspiration resistant. The golf glove is available in both left hand & right hand and come in sizes small to XL (extra-large). 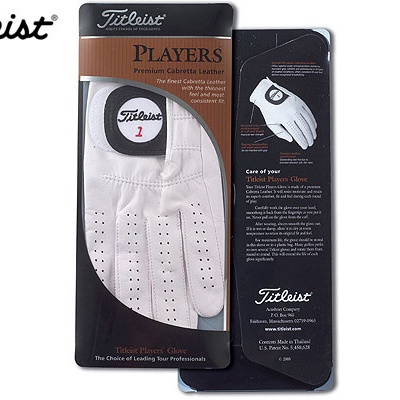 Inclement weather conditions need not be a problem with the Titleist Players Glove. It maintains comfort, feel and grip in the face of all mother nature’s elements. Perferations in the fingers of the golf glove, and small vents between the fingers enhance breathabilithy. The golf glove’s thin skin ensures that there is no bulk to get in the way of the golfer’s feel and performance. 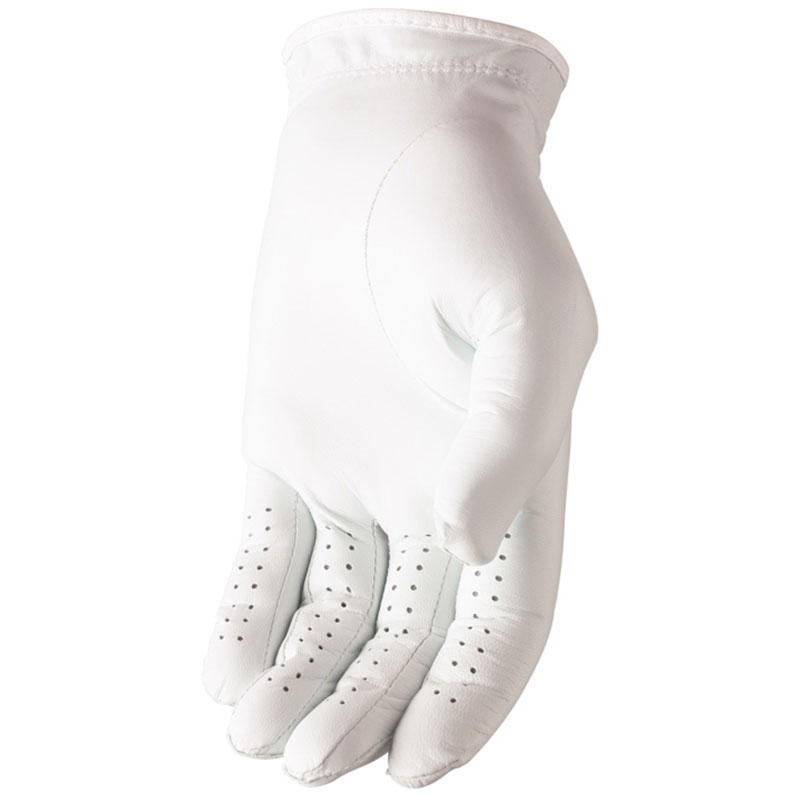 The golf gloves seams are constructed for minimum interference with the player’s golf grip. Titleist quality can be strictly maintained in their own production facility in Thailand. When donning the glove, carefully work it over your hand. Starting at the fingertips, smooth the glove’s fabric back towards your wrist. Never pull your glove on starting from the glove’s cuff. The Players Glove should be smoothed out flat after use. Dry at room temperature and then store in the plastic sleeve glove packaging or a plastic bag. For maximum longevity, Titleist recommends rotating several gloves from round to round, which will extend each golf glove’s life.